Primarily Lake City Headstamps with some various other NATO-spec yellow brass, all casings are Boxer Primed. Headstamps may vary from batch to batch. 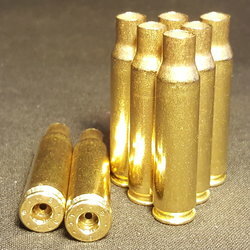 Casings have been full-length sized, deprimed, trimmed (2.003 +/- 0.005'), reamed and tumble polished.